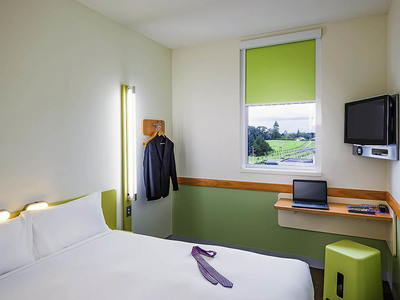 Located just 900 metres away from the International Airport Terminal in Auckland, the Ibis Budget Auckland Airport is the perfect resting point for a traveller who enjoys low-priced stays, convenience, and comfort. Bright, modern, and simple, the Ibis Budget has all the essentials that any traveller might need, and will leave all its guests feeling satisfied, and well-rested. With 198 accommodation rooms, designed with both families, and individual travellers in mind, the Ibis Budget is within easy walking distance of the nearby shops, supermarkets, cafes, and restaurants. There are several local attractions located close to the Ibis Budget such as Butterfly Creek, and Treasure Island Adventure Mini Golf - a perfect family outing. The Ibis runs a 24-hour reception, ready for late check-ins or early flights out. Enjoy complimentary parking for the night of your stay, and blinds made to block out the morning light to ensure that you’re given the proper night of rest you need before (or after) a big flight. The Ibis Budget features air conditioned rooms, public outdoor parking, and specialty reduced mobility rooms for disabled guests. The Ibis Budget is 100% non-smoking, and has its very own airport shuttle bus. The hotel comes with a specialty tourist information desk to help you find all the activities you might need during your stay. There is a snack and beverage machine located in the lobby, but if you’d rather bring back your own drinks why not enjoy some duty-free shopping and find your favoured bottle of wine for a relaxing night in? 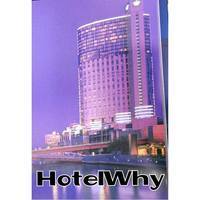 The Ibis Budget is the perfect stop for a traveller seeking a low-budget stay. With all the immediate amenities needed either close by, or within a few minutes of walking, why look elsewhere when you could stay at the Ibis?